Walt Disney Co. announced on Monday that Jack Dorsey has been elected to its board of directors. Dorsey will serve as an independent director at Disney, effective immediately. 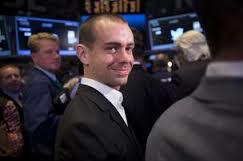 At present, he is already serving as CEO of Square and chairman of Twitter, the two companies he cofounded. In the announcement, Bob Iger, Disney’s CEO and chairman talked about Dorsey’s history of starting up two innovative new businesses. On Disney’s board Dorsey will replace Judith Estrin, who has been on the board for 15 years however can’t run for a new term under the Burbank, California, company’s corporate rules. She is a former executive for Cisco Systems and now runs JLABS LLC.